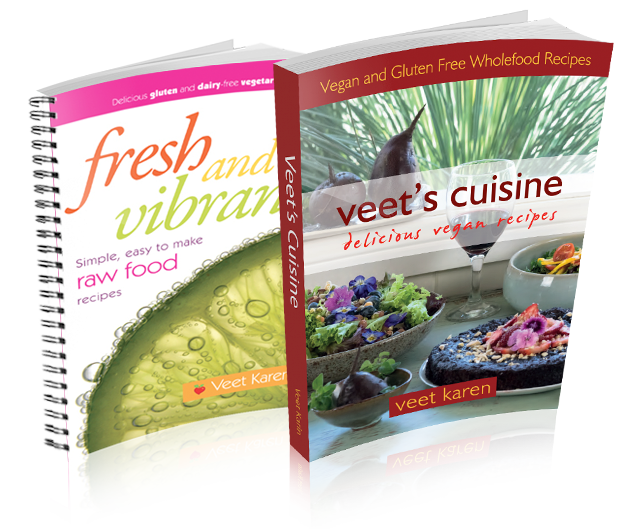 I began Veet’s Cuisine on the 19 May 2008. Since that date I have been blown away by the immense creativity that flows through me into the food that I prepare for retreats, weddings, celebrations and events. My love and passion for high quality food mixed in with my knowledge of wholesome, healthy, vegan fare as well as my taste buds desiring only the most heavenly of experiences, makes a wonderful recipe for fabulous meals and food every time. The team that works with me all have bubbly personalities and enjoy working in the kitchen at Veet’s Vegan Cooking School & Catering. The energy created around preparing food adds to the overall experience and service is always with a genuine smile. My number one love is sustaining good health in a delicious way, second love is people and the third is my surroundings. These three things all come together in the most divine way when Veet’s Vegan Cooking School & Catering is catering at retreats, weddings, celebrations and events. At the end of 2009 I was able to marry both my love of cooking with my teaching skills (as I was a teacher twelve years prior to establishing Veet’s Cuisine and later Veet's Vegan Cooking School) and provide regular and ongoing cooking classes. As these cooking classes evolved I came to realise that there was a greater need than just providing one-off cooking classes. People’s thirst for more information and need to create their own vegan/vegetarian business or embarking on a lifetime of healthy eating has seen me establishing Veet's Vegan Cooking School where I offer a comprehensive chef’s training course. 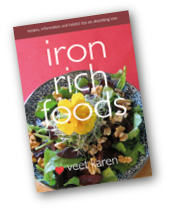 The vision I have at Veet's Vegan Cooking School is to help people establish healthy everyday lives with a focus on ethical eating as well as helping people establish ethical food businesses. As I travel to places in Australia I see the busiest and most successful cafes and restaurants being those that stand by their ethics and morals. In Brunswick street Melbourne there are three vegetarian and two vegan restaurants where people line up for up to an hour in order to get a table and people travel for hours to go to a vegetarian restaurant in the tiny town of Milton. There is no reason why there cannot be an ethical vegan café or restaurant in every town in Australia. The youth of today are actively asking for vegan and palm oil free food when they go out to eat, raw is a word they love. Food consciousness is changing. Veet's Vegan Cooking School offers a training that will give people the skills to help them flourish in this rapidly growing way of life, eating and creating business. In year ten of high school I had announced to my mum that I wanted to be vegetarian and she being supportive asked me where I would get my protein from. This saw me doing as much research as I could going to the school and community library finding out what I could eat for protein on a plant based diet. At the same time as I decided to be vegetarian I signed up for a weeks work experience in the kitchen of the Darwin Travelodge Hotel and was ridiculed for being vegetarian and told by the head chef that there was no chance of becoming a chef if I was vegetarian. So I looked elsewhere for a career and became a care worker for Department of Community services then studied to be a primary school teacher working in schools and in a juvenile detention centre. Travelling the world as a teacher and just as a tourist I started to realise how much of the world's traditional food was vegetarian and how well balanced it was. I also met people who had been vegetarian for years and as a result were not very healthy. It didn't make any sense to me as I was incredibly healthy as a vegetarian, so I started to conduct my own research into what they were doing to make them unhealthy. I started to notice that I personally was following a more traditional way of adopting a vegetarian diet, ensuring I was eating organic wholefoods, having enough complete protein and eating local produce in order to get enough vitamins and minerals. When I came to the Northern Rivers in NSW I decided to give up my teaching career and follow my passion so I started an organic vegetarian catering business. I looked for a chef course but there still wasn't one that would accomodate a vegetarian diet so I just went ahead with my business idea anyway. This was back in 2008. I became very busy and ended up mostly catering on retreats. Here I was able to spread the word to those who wanted more information on a vegetarian diet. I was also asked to teach cooking classes and started to do so in 2010 but soon realised that doing a one off cooking class wasn't providing enough for those that wanted to pursue a really healthy life as a vegetarian or for those who wanted to start a business in vegetarian cuisine. In 2014 I realised that there were many people who wanted to become healthy vegetarians and vegans and those who wanted to start a career in the vegan food industry. I discovered that there still was no official course for this so created a course that would help people to follow their passion of either being a vegan chef or learn how to cook healthy vegan food. 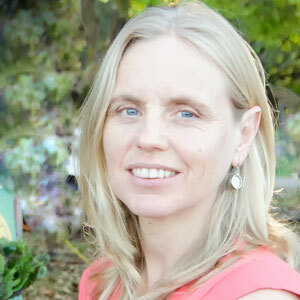 When I started to write the syllabus for the Vegetarian Chef and Lifestyle training, I kept meeting people who were vegan and kept seeing things on how cruel to animals and how debilitating to the land the dairy industry was, so I started to do more of my own studies into this and realised that I too wanted to give up dairy (I had stopped eating eggs years ago). Once the first module of the course started in May 2015 it was very clear that I would be running a Vegan course, people were more happy to book into it this way too. In the first module we made cashew sour cream and I thought wow if plant based food can really taste this good and I don't get the side effects I did eating dairy then that is it- I am vegan too. I have not looked back.